1. 4*8 feet furniture board hot press machine is widely used in veneering surface decoration patterns of furniture borad, common ones are melamine veneering for MDF and particle board. 2. 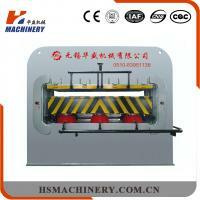 This 4*8 feet furniture board hot press machine is PLC control,adopting touch screen operation. It can easily set the time and pressure,with a password set. 3. 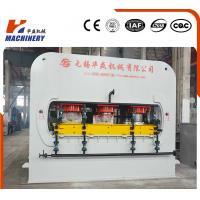 The 4*8 feet furniture board hot press machine contains following parts, such as trolley, top petrol, discharge shelf, cabinet, hydraulic pressure station, tools and so on. 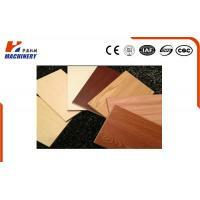 - to make Laminate furniture board. - The covering wood furniture materials are melamine paper, veneer etc. 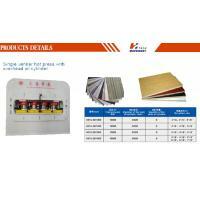 - The wood furniture core boards are MDF / HDF / Particle Board. 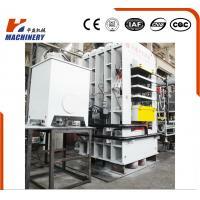 This kind of hot press primarily used for melamine faced particle board and MDF board. This kind of hot press produces laminated board by overlaying decorative paper(melamine paper or veneer) on MDF/PB by high temperature to melt the glue. 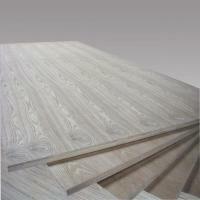 This is mainly used for laminated flooring. 1) Free consultation of the equipment is provided. 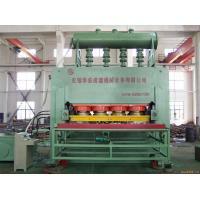 2) Reasonable purchasing plan and the veneer production line designing plan are offered according to clients' specialrequirement, helping you to select the most suitable machinery equipment. 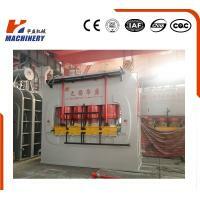 3) Welcome to visit our factory and examine goods. 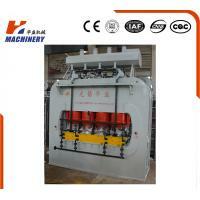 1) We Inspect and test the machine before leaving the factory. 2) We are willing to freely train your technical and first-line operator. 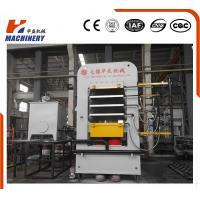 3) We will supply our technical to your factory for installing, debugging and maintaining, but the cost of flight and board loading and worker salary should be paid by buyer.Guaranty time for the main parts of the machine will be 12 months.In this period, if the machines have the problem, we will freely maintain it, but out of the guarantee time, the buyer should pay for it. 1) Engineers are available to service overseas. Wuxi huasheng machinery co., ltd. was founded in 1990, it is a high-tech enterprise which specialized in design, research, produce and manufacture of hydraulic equipment. Our company has the advanced processing equipment, strong technical force and years of production experience, and strictly implement ISO9001-2000 international quality management system standard, providing customers with high quality machine and efficient service. 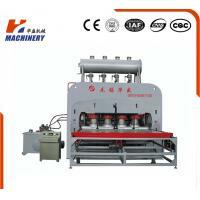 After years of development, the company based on producing various kinds of veneer hot press machine, short cycle hot press machine, automatic laminated production line, and related woodworking machinery, it is widely used in wood process, building materials and decoration and so on. 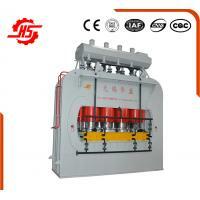 Also, we can external to undertake various kinds of laser cutting processing and sheet metal process business. According to clinets' different requirement, exclusive proposal will be supplied by our experienced technical team. 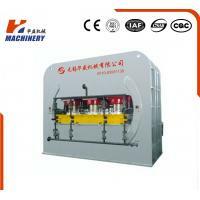 Huasheng machinery will be always with you to your success!